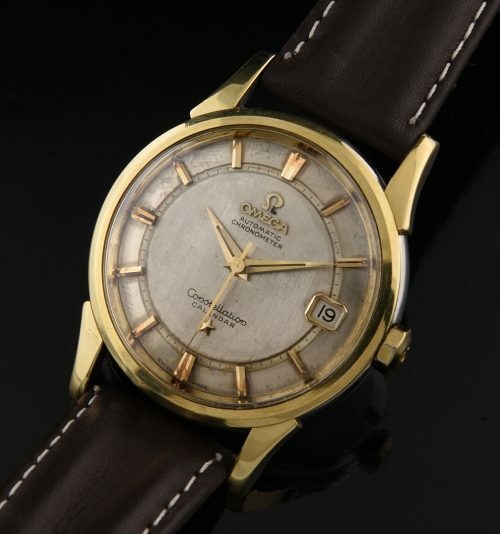 Original dials are becoming harder to find on these early OMEGA CONSTELLATIONS. This 1960 Connie has an uncommon ORIGINAL “rail” dial having an even patina with gold toned markers and date aperture. These original Dauphine hands add to the appeal of this vintage OMEGA. 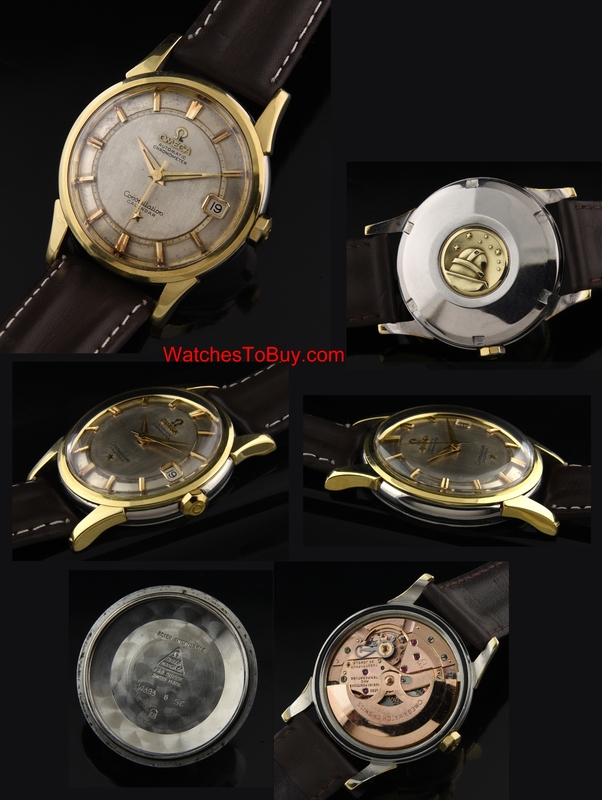 The automatic OMEGA chronometer grade movement was recently cleaned and accurate. The gold capped case with steel sides and screw-back is without major flaws. Notice the solid gold observatory emblem-very crisp. The 10 sided OMEGA crown is correct. The OMEGA signed hesalite crystal is present.